Susan Delgalvis, an Ohio native, received her BA from Bryn Mawr College and MD from Thomas Jefferson University. She remained a linear thinker until January, 2006 when while vacationing in Taos, New Mexico she “experienced” an artist giving a demonstration in working with pastels. 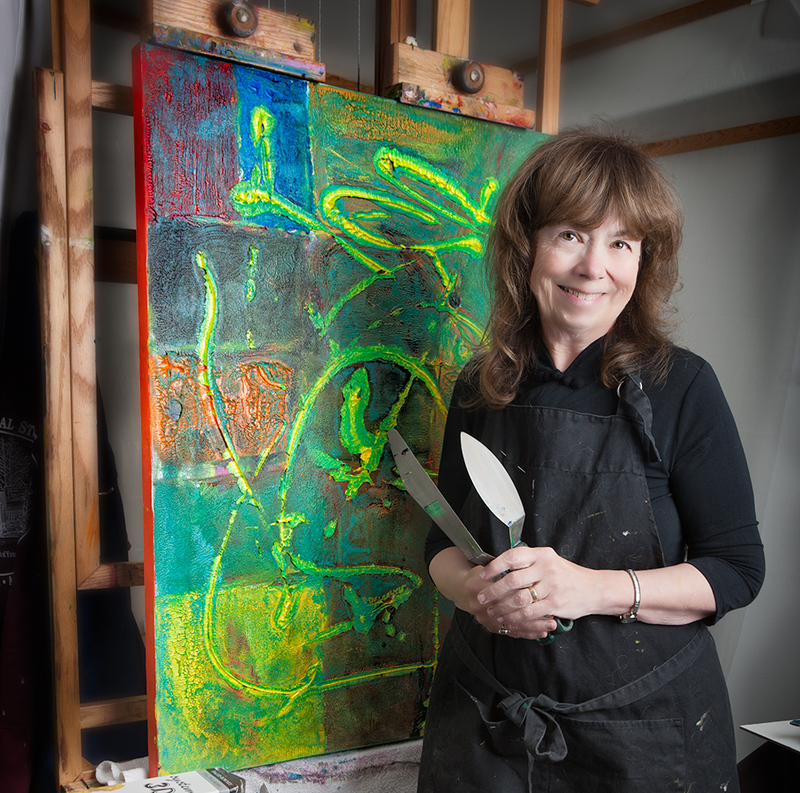 She bought his painting and embarked on an unexpected artist’s journey, initially working in pastel, then onto oil, acrylic and encaustic painting, The body of her work is best described as abstract expressionism. Her encaustic paintings have been described as sculptural. Susan has exhibited in solo, group and museum shows throughout the United States and in Latvia. In 2016, Susan embarked on a full-time Studio practice after retiring from Hematology-Oncology. She had practiced medicine and had been involved in the art community in Pennsylvania, Colorado and Alaska. She and her husband, Andre Delgalvis, a fine art photographer, author and naturalist, own Studio 2138 LLC, a working Studio and Gallery in Grand Junction, Colorado. They are inspired by the geologic diversity of the Colorado Plateau.